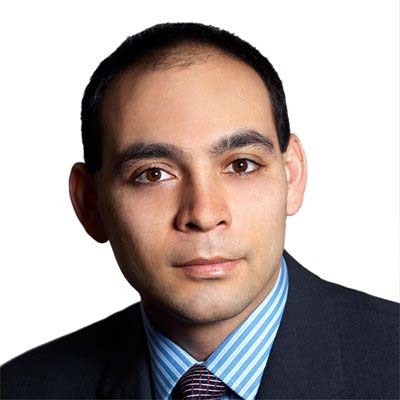 Christopher Alam is a partner with and head of the Toronto Real Estate and Financial Services Group in Gowling WLG's Toronto office. His practice includes corporate commercial and lending transactions. Christopher also acts for both creditors, including banks and other major financial institutions, and debtors in secured and unsecured lending transactions that include public and private acquisitions, asset-based loans, and term and revolving facilities in both a domestic and cross border context. He also acts for creditors, debtors and receivers in transactions involving insolvency and related issues; and for U.S.-based lenders carrying on lending businesses in Canada. Christopher acts for public and private corporations in providing legal assistance with general corporate matters, including mergers and acquisitions, corporate governance, borrowings and commercial transactions. Christopher is a member of the firm's Legal Opinions Committee. He also writes and blogs about the regulation of artificial intelligence at JurisAI or at @aijuris. Christopher edits Gowling WLG's U.S. newsletter and was the co-editor of the Canadian Bar Association's Insolvency Section newsletter in 2000 and 2001. Christopher speaks regularly on secured lending. 31 January 2019 Is legislation pending on bankruptcy, pension plans and lenders?